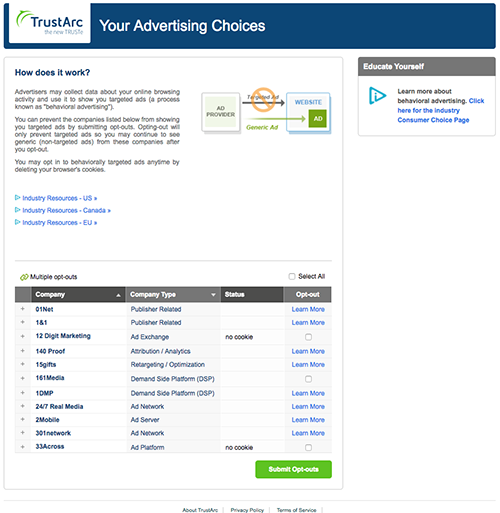 Manage DAA / EDAA / DAAC online behavioral advertising AdChoices privacy compliance requirements. Online Behavioral Advertising (OBA), requires that you provide users notice and choice regarding the use of their information. Managing this process across dozens or hundreds of ad campaigns and millions or billions of ad impressions requires a technology solution that can operate at scale while providing a great user experience. 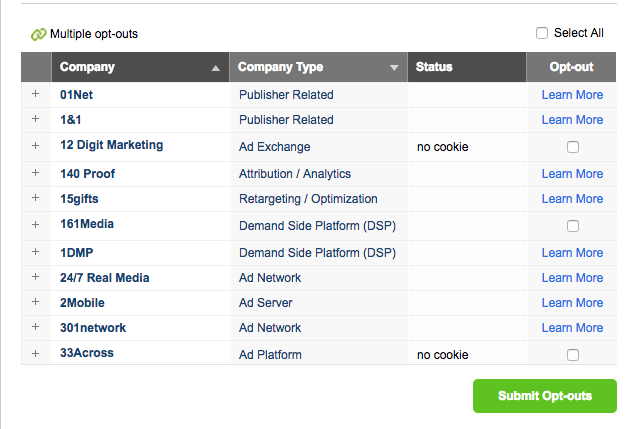 Brands, publishers, and ad tech platforms all need to comply with the DAA / EDAA / DAAC self-regulatory programs. Reporting includes the number of impressions, AdChoices clicks, click-through Rates, and opt-out selections. 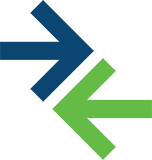 Cutting edge technology makes creating a secure, centralized inventory fast and sustainable. Our simple, scalable and flexible solutions sit on top of solid infrastructure that serves billions of impressions each month. With a few simple clicks you can create new tags or make changes to existing ones. TrustArc is also an authorized EDAA Trust Seal Certification provider. For more information, visit EDAA Certification. Step 1: A light-weight ad tag embeds the AdChoices Icon on or near the ad. Step 2: When clicked, the icon opens a privacy notice over the ad. Step 3: A consumer can click through the privacy notice to the Opt-Out Manager. 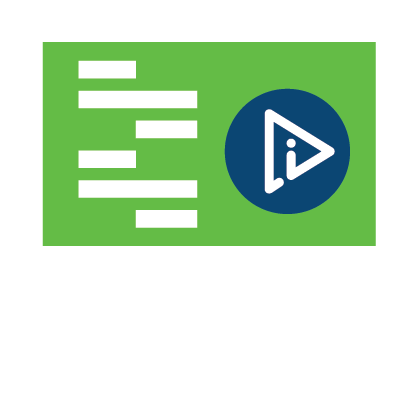 Step 1: Publishers can implement Ads Compliance Manager with a simple HTML insert, embedding the AdChoices Icon on any page. 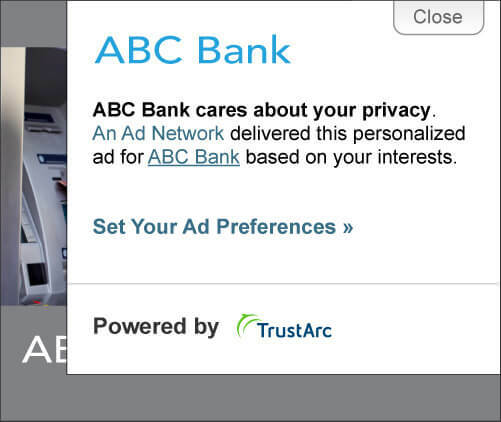 Step 2: When clicked, the icon opens a TRUSTe-powered pop-up, providing consumers with ad privacy notice. 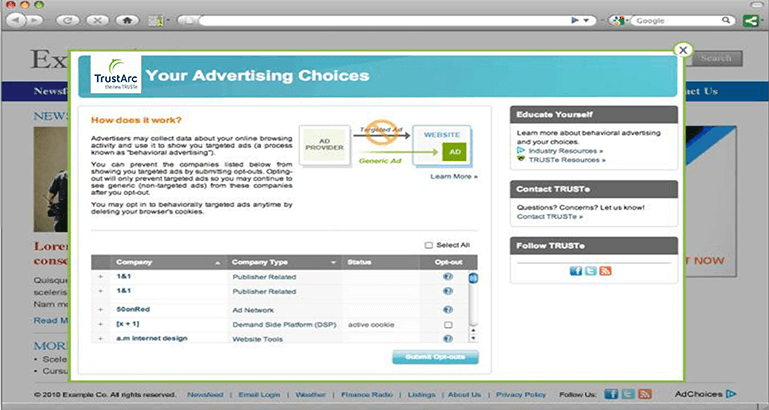 Step 3: Consumers can click through the ad privacy notice to navigate to the Opt-Out Manager. We were proud to be a Gold Sponsor at the DAA's annual conference for the sixth year in a row! TRUSTe / EDAA Consumer Privacy Advertising Research wins IAB EU Research Award. Looking for help with DAA / EDAA / DAAC advertising compliance?